1. Please briefly explain your role at Resorts World Sentosa. Resorts World Sentosa is an integrated resort located on Sentosa island, Singapore. Spanning 49 hectares, the resort opened in January 2010 and welcomed over 45m visitors in its first three years of opening. Our resort is home to Universal Studios Singapore, the S.E.A. Aquarium (one of the world’s largest aquariums) and Adventure Cove Waterpark. Other attractions include a spa, a casino, six unique hotels, a convention centre and a number of celebrity chef restaurants. At Resorts World Sentosa I’m responsible for digital marketing, ecommerce and social media. This covers everything from websites to mobile apps, online sales, booking engines, online travel agents (OTA’s), group buying, eCRM, social media and blogs. 2. How did the company first identify the need for digital transformation and how did you become involved in the process? As we all know, media consumption in Asia has changed dramatically over the last two years and although not everyone may be booking their holidays online yet, the vast majority of our customers are at least researching their travel destinations on laptops, tablets and smartphones. As such, the management and team identified the need to review our marketing strategy and adapt to customers’ changing media behaviour. This trend is only going to accelerate in the next few years and I have been tasked to make sure that Resorts World Sentosa’s marketing strategy is futureproof. 3. How did you come up with your DT roadmap? Who was involved? We actually started with a simple SWOT that helped us to identify the gaps in the areas of people, processes and technologies. We then realised that we already had quite a few building blocks in place, including senior management immersion and a digital education programme for our offline marketers. In addition, other business units had taken the initiative to invest in technology like cashless wristbands in our Adventure Cove Waterpark. Last year my own team developed a roadmap for a new digital platform infrastructure, including a content management system, a responsive website, mobile apps, online payment methods (e.g. Alipay) and an email marketing platform. More importantly, we had already put a comprehensive tracking system in place, using both Google Analytics and DoubleClick. 4. What were the main challenges you had to overcome? Resorts World Sentosa is a very large organisation with many different business units so I guess stakeholder management is one of the biggest challenges that I’m facing with my digital transformation roadmap. The other challenge is of course managing the potential conflicts between our distribution channels. We obviously would like to grow our online and mobile channels, but at the same time we need to make sure that our offline channels (travel agents, resellers, corporate partners etc.) keep firing on all cylinders. 5. What work have you done to improve your staff’s digital skills? We’re obviously hiring more marketers with a digital or social marketing background. At the same time, we’ve started an education programme for our offline marketers, which we kicked off last year with a series of in-house fast track digital marketing workshops. We also invited external speakers like Econsultancy president Ashley Friedlein and David Shing (AOL) and organised various workshops with Facebook, Twitter and our media agency Carat/iProspect. More workshops around display advertising and programmatic buying are in the pipeline, in addition to training on the job of course. 6. How do you ensure on-going improvements from now on so the hard work isn’t wasted? 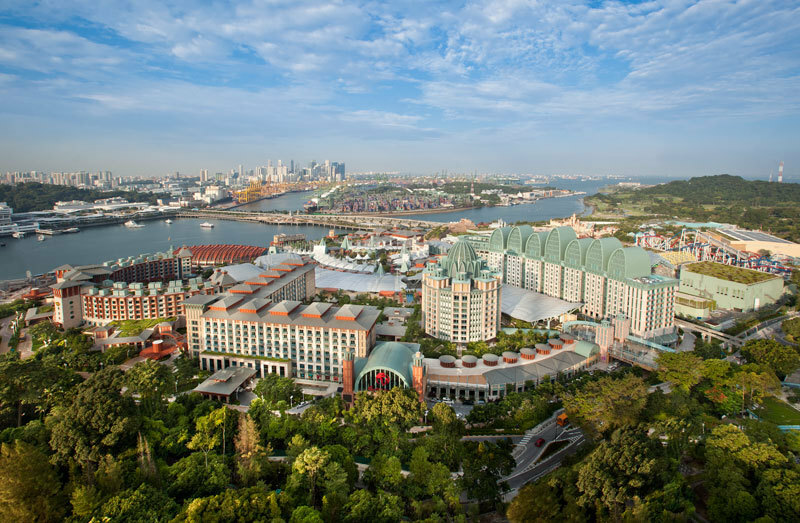 I personally believe consumer trends around media consumption and technology will drive the digital transformation process at Resorts World Sentosa. If we would ignore these trends the business would start to suffer pretty quickly, especially in Asia. I’m also comforted by senior management who have a clear vision on how digital is going to be critical for the future of our company. 7. What advice would you give to other businesses thinking about or currently undergoing a process of digital transformation? As with any process or programme, it is a critical that you start with the “why”. Why should your organisation start this digital transformation process and why should your stakeholders join you on this journey? Leadership expert and author Simon Sinek did a great TED-talk on this a few years back and I highly recommend you watch it if you want to succeed with your Digital Transformation journey! For more on this topic, download our Digital Transformation Best Practice Guide or get in touch if you need help with your own DT roadmap. Econsultancy held its regular Digital Cream Singapore earlier this month and it was packed with digital marketing specialists from South-East Asia. Around 100 delegates, mostly from brands and other buy-side firms, got together to discuss the future of digital marketing. Want to know what’s happening in the red-hot world of Asian digital marketing? Well this summary of Econsultancy’s Digital Cream event in Singapore will help you to find out. When I first started exploring C-suite marketing the CEO of our company, James Harris, told me of a conversation he once had with a top performing salesperson. The jist of it was that, among the various elements of selling, likeability was what they rated the lowest.